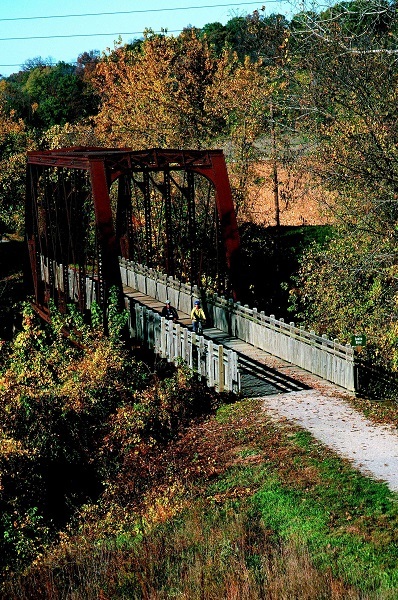 The year 2015 marks the 25th anniversary of Katy Trail State Park. From its inception and throughout its 25-year history, Katy Trail State Park has been one of the most successful rails-to-trail conversion projects in the United States. As the longest developed rail-trail in the United States, it has been inducted into the national Rails-to-Trails Conservancy’s Hall of Fame. The trail has also been nominated for various awards that recognize its outstanding recreational opportunities and role in making communities quality places in which to live. Today, nearly 400,000 visitors use the trail and a 2012 economic impact study found that Katy Trail-related expenditures made by trail users generate almost $18.5 million annually. To commemorate its 25th anniversary, several events have been planned on the Katy Trail. Check out the Katy’s event calendar for events near you. Before becoming a trail, Katy Trail State Park was the former Missouri-Kansas-Texas (MKT) Railroad. Affectionately nicknamed the "K.T." or "Katy" by railroad employees and passengers, the railroad ran from Parsons, Kan. to St. Louis, Mo. and south to Galveston, TX. 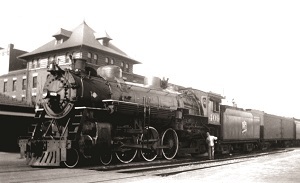 In 1986, the MKT Railroad filed to discontinue rail operations from Sedalia to Machens. When the railroad ceased operation in 1986, the Department of Natural Resources acquired the railroad right-of-way through a 1983 amendment to the National Trails System Act. In 1987, the Department was issued a certificate of interim trail use to begin using the corridor as a recreational trail. That same year, philanthropist businessman Edward D. (Ted) Jones and his wife Pat, both supporters of the rails-to-trails concept, donated $200,000 to the Conservation Federation of Missouri Charitable Trust to be used to acquire the railroad right-of-way. The Jones subsequently donated an additional $2 million for construction of the trail from Machens to Sedalia. 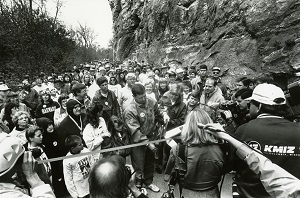 The first section of the trail opened in April 1990 between Rocheport and McBaine. 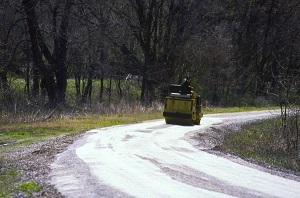 In August of 1990, another section from Augusta to just northeast of Defiance opened. The rail corridor from St. Charles to just past Sedalia was developed by 1996. Through a donation from the Union Pacific Railroad, the department then extended the trail to Clinton, opening the section between Sedalia and Clinton in September of 1999. The last 12-mile section between St. Charles and Machens was opened in 2011, completing the 240-mile Katy Trail.